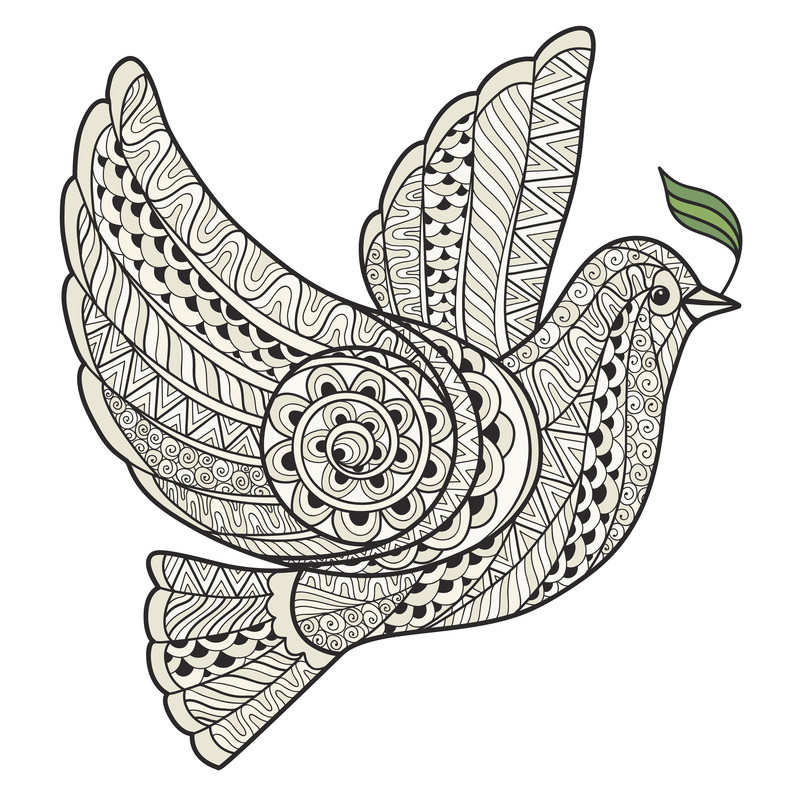 Achieving world peace requires effort from every individual. It calls for tolerance, a caring attitude and empathy towards others, amongst many other things. Developing citizens who will create a better, more peaceful world lies at the heart of an IB education. Students recognize that they have a responsibility to make a change in the world, and apply the IB Learner Profile to make a difference. Last year marked the 70th anniversary of the atomic bombings that killed more than 129,000 people in Hiroshima and Nagasaki, Japan, at the end of the Second World War. IB Diploma Programme students and teachers from Hiroshima International School (HIS) decided to commemorate the anniversary with a symbolic gesture of peace. 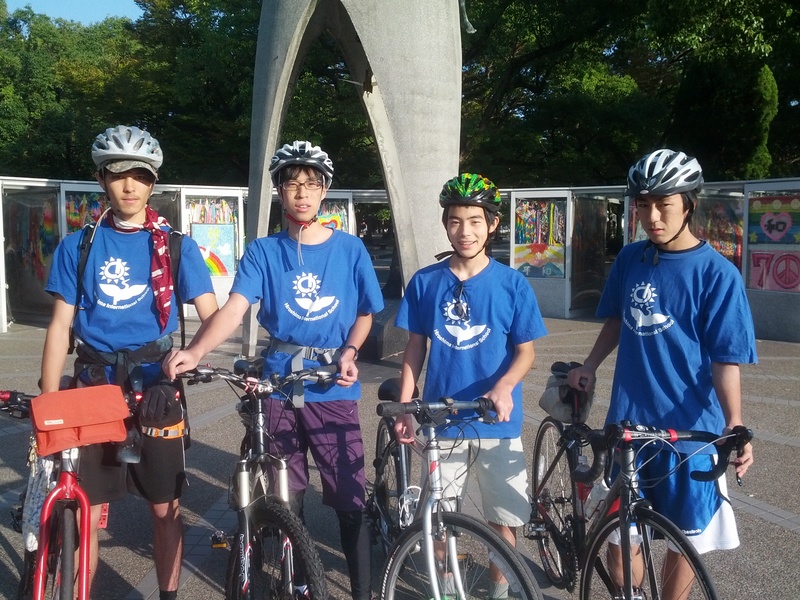 They cycled 450km from Hiroshima to Nagasaki and delivered 1,000 paper cranes to the Memorial Hall in Nagasaki. The school, parents and community supported their efforts as they received almost US$1,200 to fund the ride. Local resident Peter Skaer donated three bikes. Students rose to the demanding physical challenge and remained committed throughout. As a keen cyclist himself, the activity was Underwood’s idea, but the students did most of the work to get the project up and running such as fundraising, logo design, and creating a blog site, Facebook page and ‘thank you’ packs for those who contributed. It later became a CAS project. The significance of paper cranes originates from the story of Sadako Sasaki, who was two years old at the time of the bombings. She later suffered from leukaemia and died in 1955, age 12. While in hospital, Sadako heard of a Japanese legend that promised a wish to anyone who folded 1,000 paper cranes. Sadako began the task and inspired others to do the same. Her story was popularized in the book, Sadako and the Thousand Paper Cranes by Eleanor Coerr. 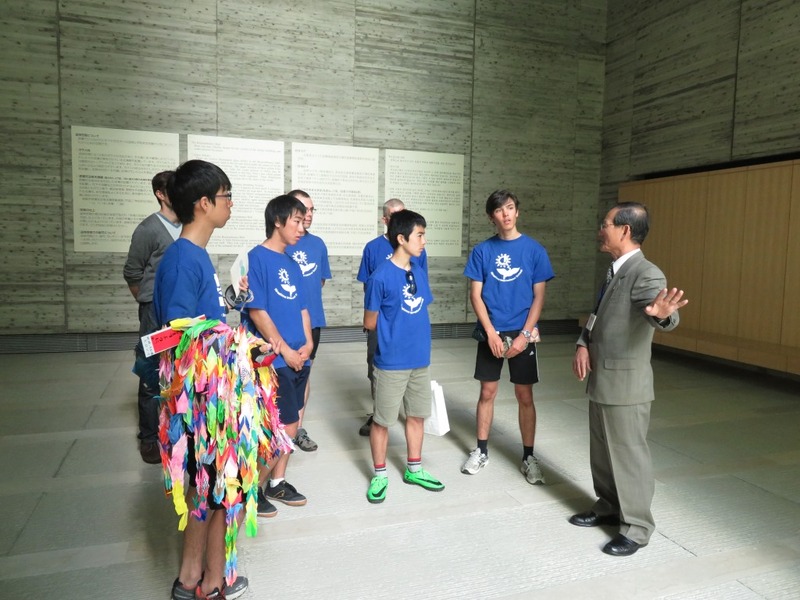 HIS students run the ‘1,000 Paper Crane Club’ and every year the club folds, collects and displays paper cranes at Hiroshima Peace Park’s Children’s Memorial. 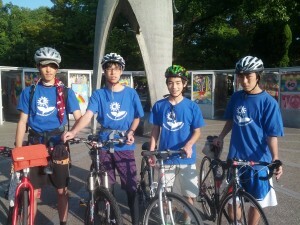 They host guided park tours in multiple languages for school students visiting Hiroshima. HIS receives thousands of paper cranes per year from schools studying Sadako’s story. There is so much about this initiative that epitomizes what international education is about: connecting with our local community, taking on challenges and promoting greater understanding between communities. This is an activity these students will never forget,” says HIS Principal Mark Exton. Across the Indian Ocean, a school in Mumbai is promoting peace by working with different schools in Pakistan. The two countries share a complex history, and Middle Years Programme (MYP) students at École Mondiale World School began a peace initiative. “We embarked upon this journey in 2014 through a unit-initiated activity designed to teach language and literature in grade 6. Students studied the unit ‘hope’, which included analysing literary texts focusing on bridging friendships,” says teacher Tulika Bathija. Students participated in a letter-writing exchange activity and made friends with children in Pakistan, Shillong and Kashmir. “This dispelled myths, shattered stereotypes and helped students understand and embrace multiple perspectives by challenging and critiquing identities and values perpetuated by the mainstream media in all regions,” says Bathija. This activity propelled students’ curiosity to know each other. 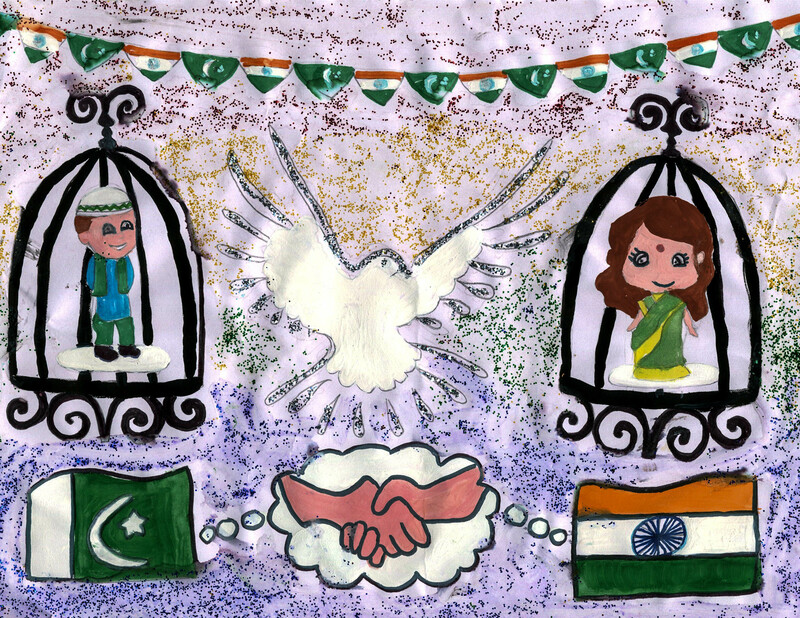 When students started grade 7, the class planned a series of activities to continue their journey of friendship with Pakistan. 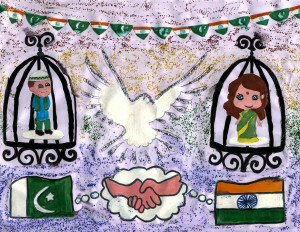 Students made cards for students at Excellent Education Centre in Lahore to celebrate Pakistan Independence Day. Students in Pakistan were grateful for the gesture and sent videos of thanks. École Mondiale students then sent Diwali cards. I displayed the IB Learner Profile attribute ‘caring’, by sending cards to let the students in Pakistan know that they are not alone. I thought it could change the environment,” says student Ronit. “Some students, who were new to IB practices, went from being reluctant, to looking forward to more peace-building initiatives,” says Pathak. “The series of initiatives emphasizes the need for educators to aid children to become global citizens and use creative mediums and spaces for dialogue to promote peace and harmony.